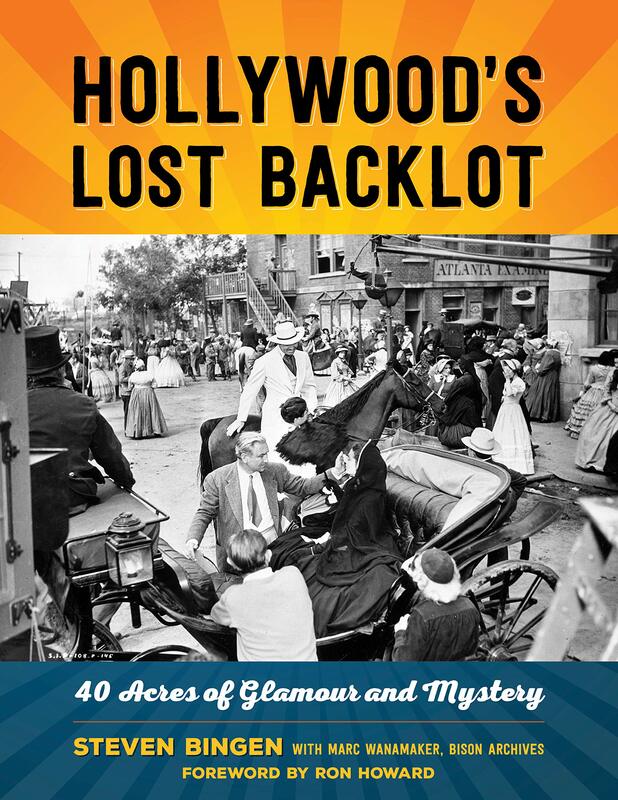 From 1927-1976, the backlot known as 40 Acres played host to Tarzan, Superman, Rhett Butler, King Kong, Captain Kirk, Batman, and Gomer Pyle. It was roughly bordered by Higuera to the north, Lucerne to the west, and Ballona Creek and Jefferson to the south and east, and though it may have been as large as 42 acres at first, it eventually became more like 29 acres due to the construction of Jefferson Boulevard, and flooding from Ballona C reek before it was paved over. Today, the area that included and surrounds what was 40 Acres has become known for architectural marvels by Eric Owen Moss, offices that are home to companies like Apple’s Beats by Dre and restaurant Vespertine. 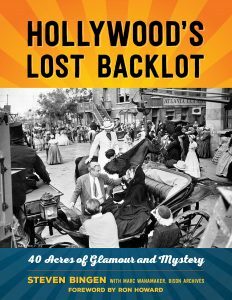 Authors and historians Marc Wanamaker and Steven Bingen will give a presentation based on their book Hollywood’s Lost Backlot: 40 Acres of Glamour and Mystery. There will be copies of the book for sale, and the authors will hold a book signing after the program. The public is invited to this free program at 7pm on Wednesday, April 17. The entrance to the ARC is from the back parking lot. When you bike or walk along Ballona Creek you see a concrete-lined flood control channel. Once you go under the Marina Freeway overpass on the bike path you see fields that are called wetlands, but they don’t look very wet at all. But Ballona Creek was once a picturesque natural waterway fed by runoff from swamps and rainwater, lined with sycamores and willow trees that ended at Ballona Lagoon, a freshwater marsh with ponds, vernal pools, and wet meadows. The Lagoon actually extended from the base of the Westchester bluffs in the south all the way to the intersection of Main St. and Abbot Kinney to the north, and as far east as Overland Blvd. 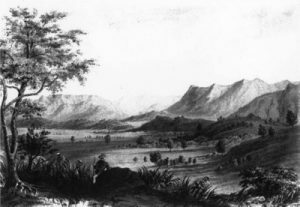 During rainy seasons Ballona Swamp covered all of the low-lying land from Culver City to Inglewood Mesa, about ten square miles. Dr. Eric Stein of the Southern California Coastal Water Research Project (SCCWRP) will bring us back to the days before West Los Angeles covered up and redirected its natural waterways, bringing us what is sure to be a fascinating look at the flora and fauna of what was. We’ll also take a look at the City of Culver City’s Ballona Creek Revitalization Project, which seeks to enhance habitats, open space, and landscaped areas. Historical Society members and the general public are invited to enjoy this free program on January 16th at 7 P.M. in the Multipurpose Room at Veterans Memorial Building, located at 4117 Overland Avenue. The entrance to both the ARC and Multipurpose Room is through the back of the building and open to the public. The Historical Society Archives & Resource Center (ARC) will be open for you to come and see our latest exhibits. About Eric D. Stein, D.Env. : Dr. Eric Stein is a principal scientist at the Southern California Coastal Water Research Project (SCCWRP), where he is head of the Biology Department. Dr. Stein oversees a variety of projects related to in-stream and coastal water quality, bioassessment, hydromodification and environmental flows, watershed modeling, and assessment of wetlands and other aquatic resources. His research focuses on effects of human activities on the condition of aquatic ecosystems, and on developing tools to better assess and manage those effects. Dr. Stein has authored and co-authored over 100 journal articles and technical reports and participates on numerous technical workgroups and committees related to water quality and aquatic resource assessment and management. Prior to joining SCCWRP in 2002, Dr. Stein spent six years as a Senior Project Manager with the Regulatory Branch of the Los Angeles District Corps of Engineers, and four years with a private consulting firm. 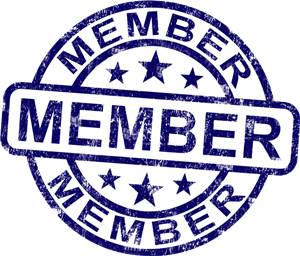 About the SCCWRP: The Southern California Coastal Water Research Project (SCCWRP) is a leading U.S. environmental research institute that works to develop a scientific foundation for informed water-quality management in Southern California and beyond. Since its founding as a public agency in 1969, SCCWRP has been a champion of sound interdisciplinary approaches to solving complex challenges in water management. The agency investigates not only how to more effectively monitor and protect Southern California’s ocean and coastal watersheds, but also how to bridge the gap between water-quality research and the management community that relies on this science. 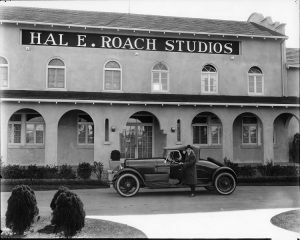 From the early days of filmmaking, Culver City was at the epicenter. We can spot Culver City locations in recent movies and TV shows with ease. But it takes a lot more time and effort to identify locations from silent films and early talkies. Chris Bungo was born and raised in New Jersey, but he can spot Culver City and other Los Angeles locations from 1920s and 30s movies like a native. He then photographs what is there now, and dissolves in and out from the past to the present in his popular Then and Now videos on YouTube. He will present some of these videos, with a focus on Culver City locations, at our program. 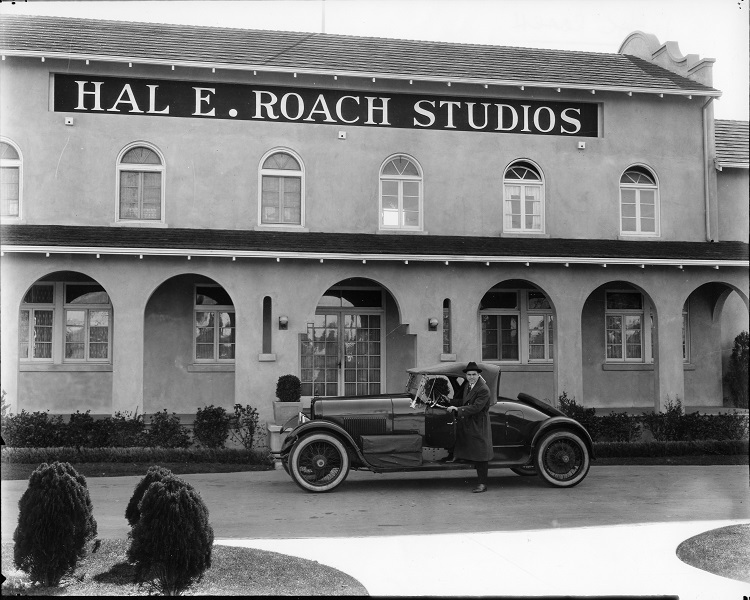 Hal Roach expert Richard Bann, co-author of Our Gang: The Life and Times of the Little Rascals and contributor to the book Laurel & Hardy and the home video release Laurel & Hardy: The Essential Collection, will also present a brief history of Culver City’s Roach Studios, which produced many comedy shorts on the streets of The Heart of Screenland. In today’s concrete and asphalt-lined megalopolis, it’s sometimes hard to remember that Los Angeles was once the agricultural center of North America up until t he 1950s, with Culver City having played a large part. 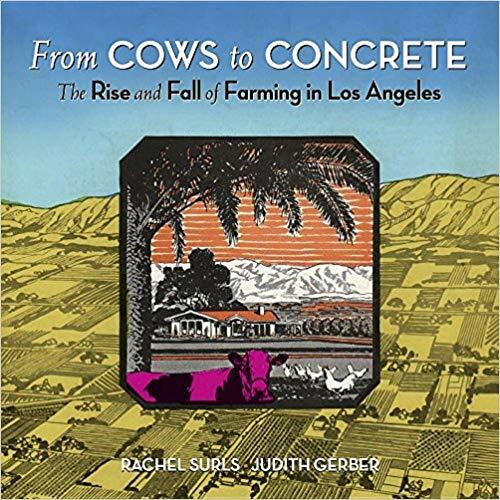 On Wednesday, July 18, Rachel Surls and Judith Gerber, co-authors of From Cows to Concrete: The Rise and Fall of Farming in Los Angeles, will give an illustrated look back at our farming heritage and explore such history as the Tongva people who lived along Ballona Creek, the missionaries that brought European agricultural knowledge to the area, the rancho owners that cultivated West Los Angeles and raised cattle, and the beginnings of California’s citrus and winemaking empire. We’ll also look at “fantastic farm” tourists attractions like Culver City’s own Monkey Farm, the malathion spraying of the 1980s that began in Culver City, and efforts to bring back urban farming amidst the current locavore and “eat local” movement. Historical Society members and the general public are invited to enjoy this free program on July 18 at 7 P.M. in the Multipurpose Room at Veterans Memorial Building, located at 4117 Overland Avenue. The entrance to both the ARC and Multipurpose Room is through the back of the building and open to the public. About Rachel Surls: Rachel Surls is the Sustainable Food Systems Advisor for the University of California Cooperative Extension in Los Angeles County. Cooperative Extension is part of the UC’s Division of Agriculture and Natural Resources. As Sustainable Food Systems Advisor, she conducts research and extends information on a variety of food systems topics, including community and school gardens and urban agriculture. Rachel earned her BS in agronomy at Virginia Tech, her MS in Agricultural Sciences at Cal Poly, Pomona, and a Ph.D. in Education from Claremont Graduate University. About Judith Gerber: A second-generation Angeleno, Judith Gerber is a farm and garden authority who has written about sustainable and urban farming, local foods, and organic gardening for more than twenty years. She is also the author of Farming in Torrance and the South Bay. Culver City has played a part in the past Los Angeles Olympic Games, and we look forward to being involved in 2028 when the world’s athletes return to the region. 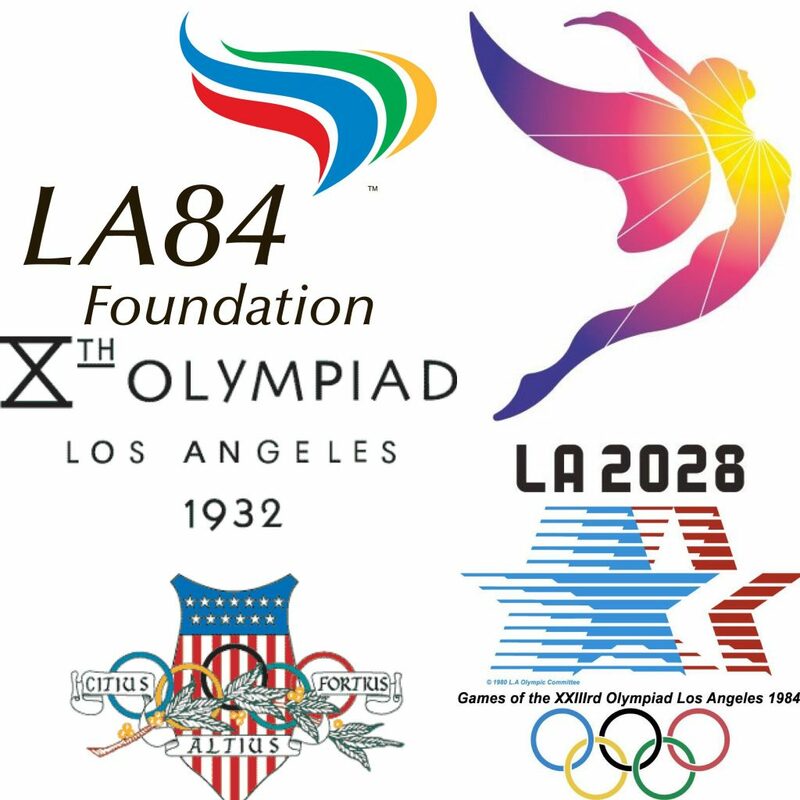 During our Wednesday, April 18 (7 P.M.) General Meeting and Program we’ll look back, as well as forward, with the help of a representative from LA84 Foundation, and any past and future Olympians that want to share their memories and aspirations. 1932 saw the construction of the first Olympic Athletes Village in nearby Baldwin Hills. Along with the athletes came appetites. Thus began the Great Olympic Bread War, which involved Helms Bakeries and a lawsuit that took nearly 20 years to resolve. Local luminaries Douglas Fairbanks and his wife Mary Pickford, who both have Culver City streets named after them, were instrumental in publicizing the 1932 games. 1984 was famously a budget conscious affair, with the Los Angeles Olympic Organizing Committee using a former helicopter assembly plant in Culver City as its headquarters. 1984 also was the first time a women’s Olympic marathon was held, with both the men’s and women’s marathon routes passing through Culver City on their way to the finish line. How will Culver City play a part in 2028? Are future Olympians from Culver City training right now on our streets and in our parks? Our featured speaker will be Wayne Wilson, who has served for three decades as Vice President, Education Services, for LA84 Foundation. Mr. Wilson holds a doctorate in sports studies from the University of Massachusetts, writes and speaks frequently about the Olympic Movement, and previously served on the Research Council of the Olympic Studies Centre in Lausanne, Switzerland. Any local Olympians or Olympic volunteers who wish to take part in the evening’s Q&A are more than welcome to attend. Historical Society members and the general public are invited to enjoy this free program on Wednesday, April 18 at 7 P.M. in the Multipurpose Room at Veterans Memorial Building, located at 4117 Overland Avenue. The entrance to both the ARC and Multipurpose Room is through the back of the building and open to the public. About the LA84 Foundation: For over 30 years, the LA84 Foundation has experienced first-hand the power of sport to change lives. The foundation’s funding, focus, and advocacy has positively impacted more than 3 million under-served and under-resourced youth, supported over 2,200 organizations and trained 80,000 coaches. With a third Olympic and Paralympic Games in Los Angeles coming in 2028, the LA84 Foundation is ready to take their work to even greater heights as they begin to build a new legacy for the next generation.